"What would be the best therapeutic approach to assist preschool children with Asperger Syndrome?" Sensory motor play teaches children how to interact with their environment. Through the use of physical play, including rough and tumble play, children are able to learn gross motor skills. Social play provides the opportunity to learn about social relationships. Play therapy provides a learning opportunity that cannot be matched in other circumstances. Young children with Aspergers need play therapy, because they do not normally interact with their environment - or others - the way they need to in order to learn. Improving play skills increases their pleasure and their motivation to play, increasing their sociability and interaction with others. 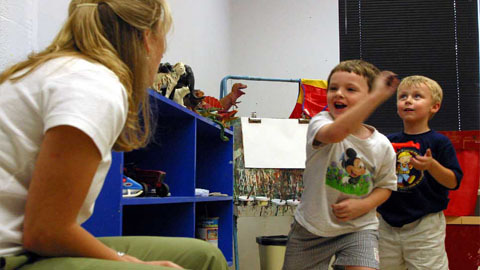 Play therapy can provide the child with an opportunity to express himself with words and actions, which can be difficult for some Aspergers kids age 5 and below. Sensory motor play allows the child to learn more than his verbal capacity allows, and it provides an opportunity to work through social roles, fears, and relationships. Play therapy is used to help children manipulate the world on a smaller scale, which cannot normally be done in their environment. It can be used as a form of behavior modification, and can be used to improve emotional development, improving social skills and learning. Social stories can also be used as part of play therapy to help improve social skills. Stories should be designed to help Aspergers children understand the feelings, ideas, and points of view of others, or to suggest an alternate response to a particular situation. I found a fantastic place that does play therapy Roosa Counseling in NY :) So far so good! !